President Sewall2“Influence.” Boulder News and Courier, January 9, 1880. CHNC had first invited Mary Rippon to teach at the University the preceding summer. But she declined on the basis she had previously accepted a contract to teach in a Detroit high school. The decision to come west was not an easy one. Rippon had followed her high school education with five years of study abroad in Switzerland and Germany. 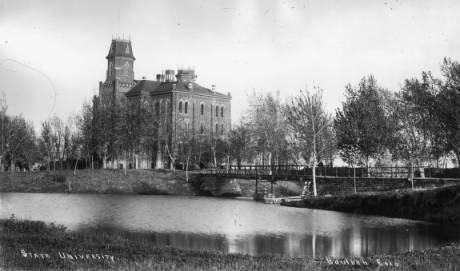 While teaching in Detroit, she was warned by a minister who had just returned from Boulder that the University of Colorado consisted of a single building located “way out on the prairie and this one building would soon fall down and kill all within it.” The appearance in the “Atlantic Monthly” of Helen Hunt Jackson’s article on the Colorado wild flowers and repeated invitations from Dr. Sewall persuaded her to change her mind. Rippon stayed for more than two days; she became head of Germanic languages and literature until her retirement 31 years later.3“State University Loses Miss Rippon.” Weekly Courier, July 21, 1909. 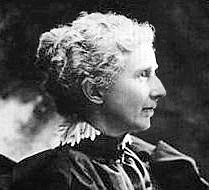 CHNC Upon her death in 1935, the Regents of the university approved plans for an outdoor theater to be built in Mary Rippon’s honor. That theater is still in use today.